A covering of snow at all levels today with deeper accumulations in places sheltered from the strong North-North-West wind. Ice is forming quickly in the cold temperatures. 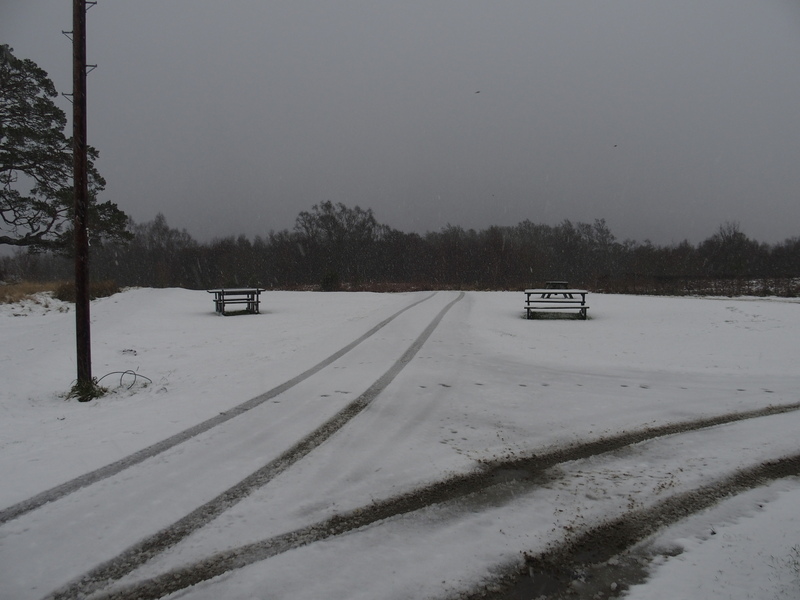 The ground under the snow remains warm and is being insulated by the layer of snow. 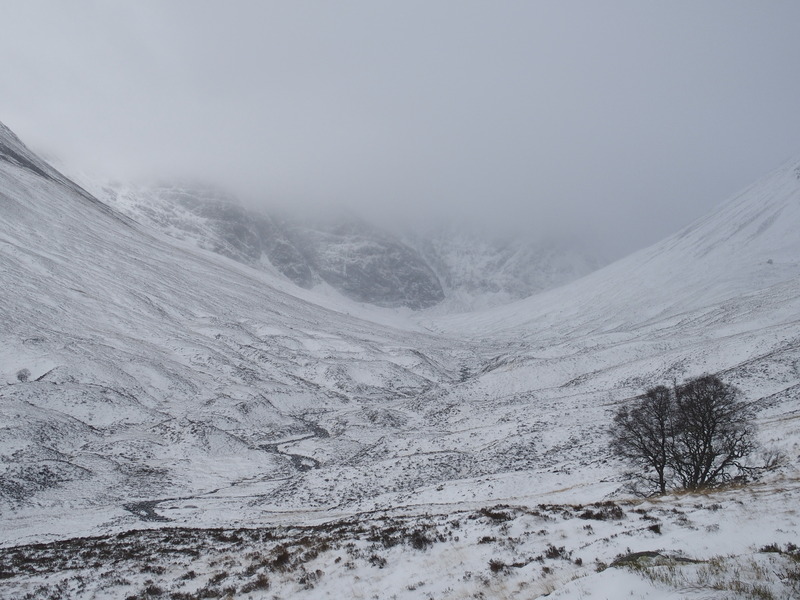 Low cloud and drifting snow didn’t give good conditions for photos but a few taken in the better bits of weather are below. Snow at carpark level this morning. 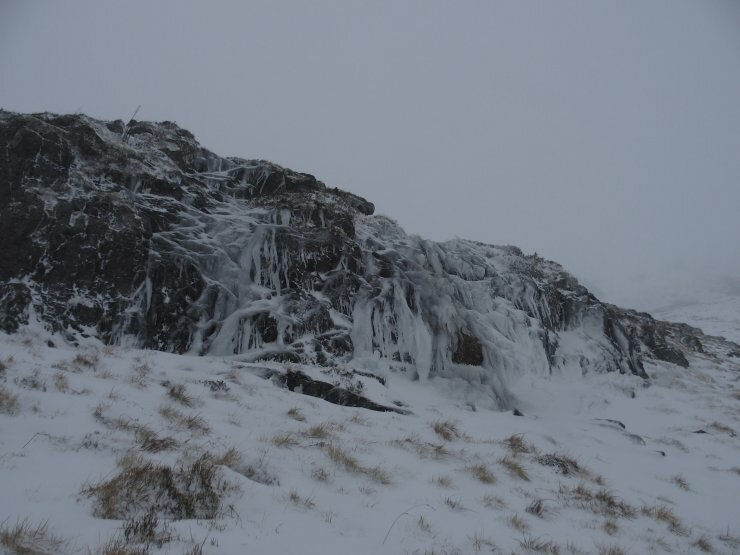 Ice forming quickly at 800 metres. 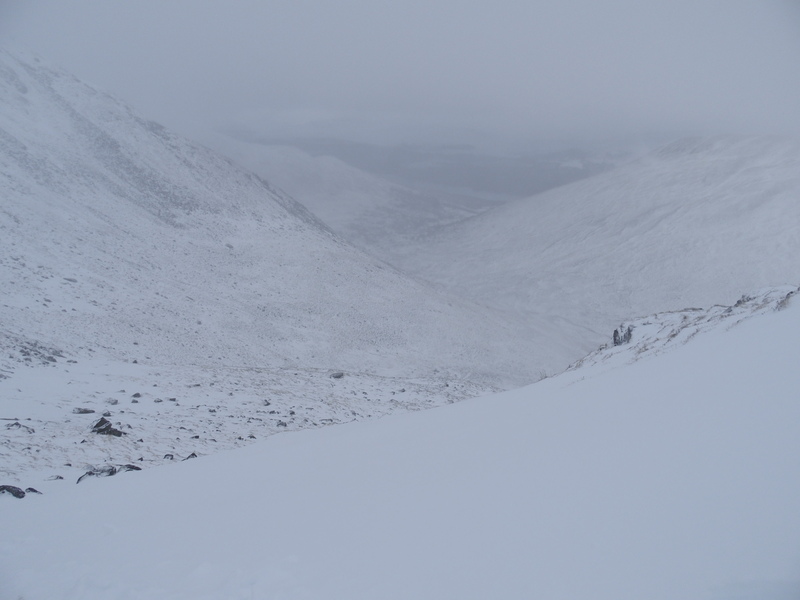 Looking down from Coire a’ Chriochairein.